Diversified Staffing Services (DSS) is committed to a strong health and safety program that protects our employees. DSS is committed to a strong health and safety program that protects our employees. 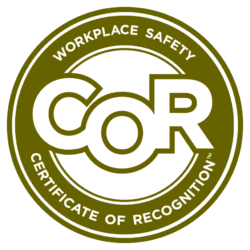 This commitment is fulfilled by providing a thorough safety orientation, proper training and equipment, and extensively documented training policies, practices and procedures. All employees are required to perform jobs in accordance with these polices. In fulfilling this commitment to protect both people and property, management will provide and maintain a healthy and safe work environment in accordance with industry standards and in compliance with legislative requirements. DSS will strive to eliminate any foreseeable health and/or safety hazards which may result in property damage, incidents or personal injury/illness. All employees have the right to a safe work environment.